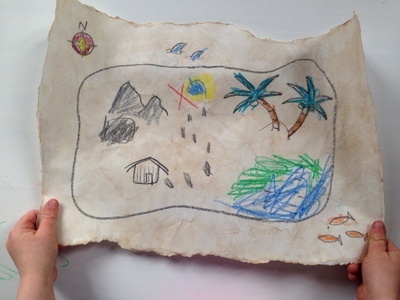 Have fun creating your own pirate treasure map and give it an aged look by staining with tea. 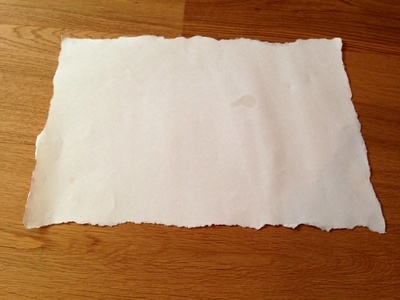 Tear the edges off the paper to give an aged look. 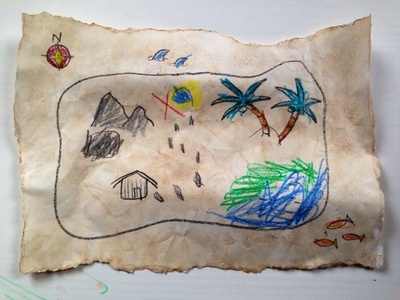 Draw a treasure map on the paper with wax crayons (don't use felt pens as these will run when you wet the paper later). 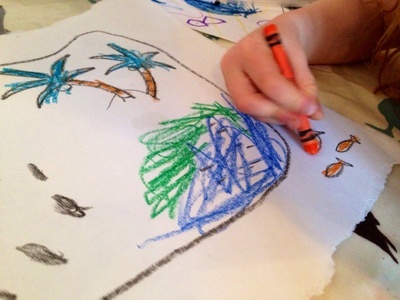 With younger children, try drawing some treasure island outlines which they can colour in with the crayons. When finished, crumple the paper gentle to give a worn look and open back out. Make up a bowl with some black tea. 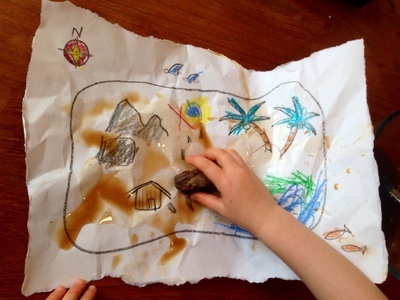 When the tea is cool, allow the children to paint the tea over the treasure map. You can use a brush or try sweeping the tea bag directly over the paper. Don't rub too hard on the damp paper otherwise you will make holes in the map. 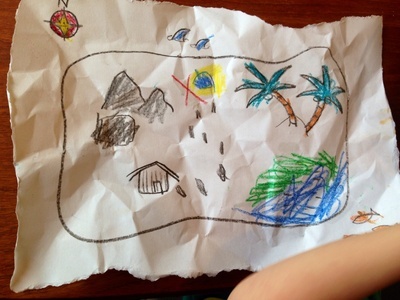 Your treasure map is now ready - have a fun adventure! If you're planning a real treasure hunt, have a go at making your own pirate treasure chest.